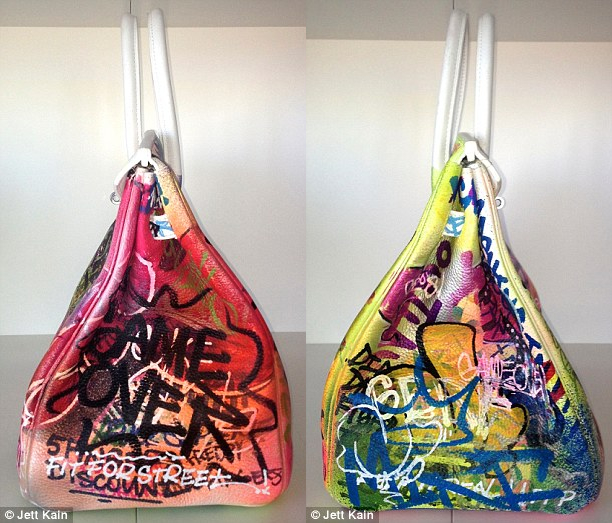 Shoulder bags are my poison, I usually like to carry everything but the kitchen sink with me, wherever I go. 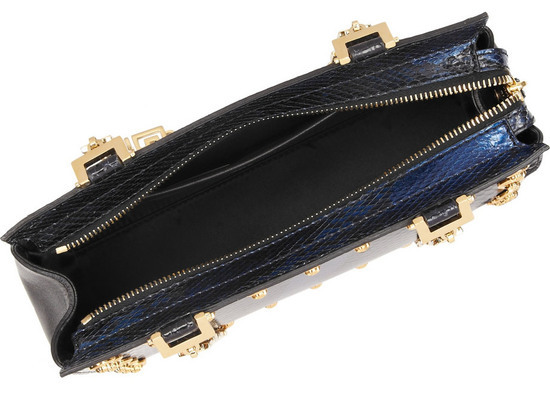 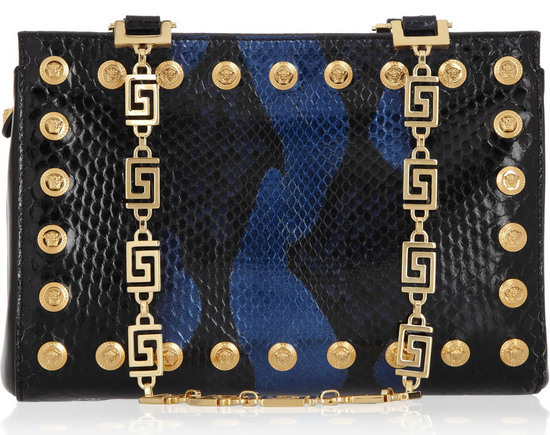 And black and blue is a lot more subtle than black and red, maybe that is why this Two-tone studded python shoulder bag by Versace is quite a catch. 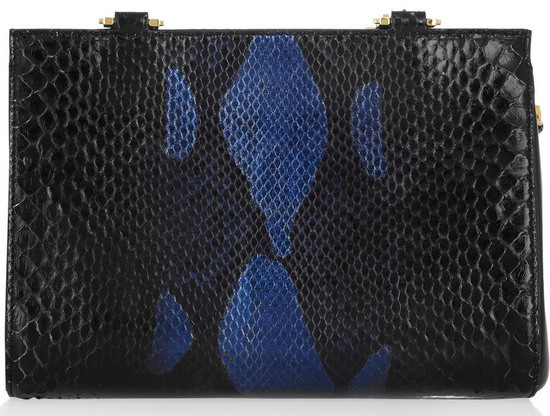 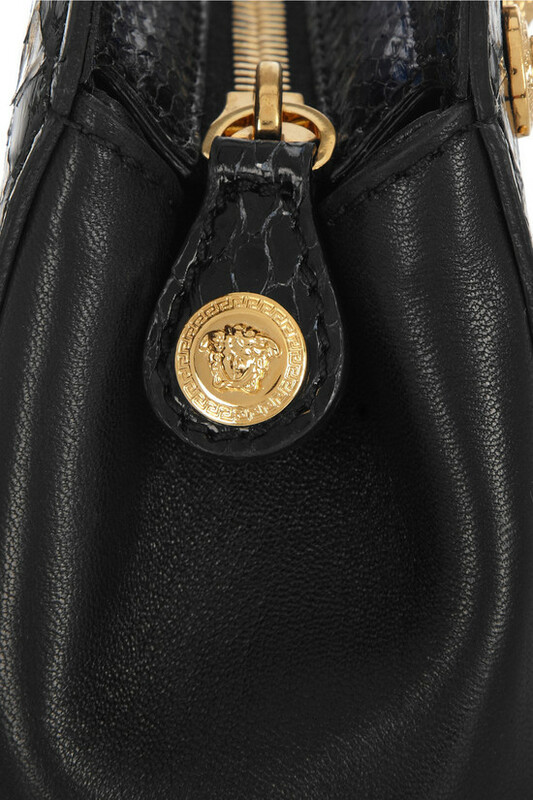 Set in black and blue Laos python leather, this stunning bag is lined in black satin, and features an internal pouch pocket with a zip fastening across top. 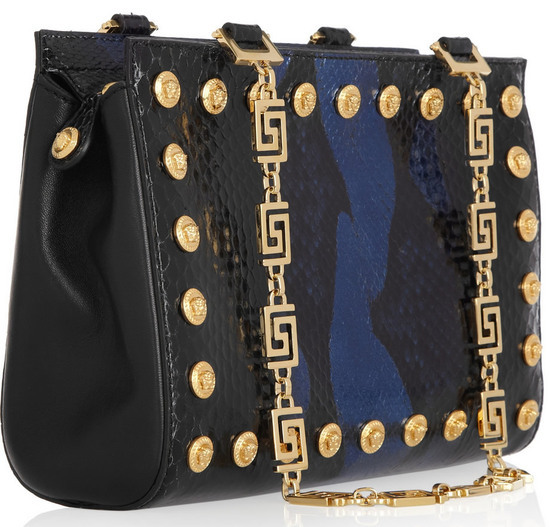 However its highlight is the pretty two designer chain handles, done up with designer studs and gold hardware. 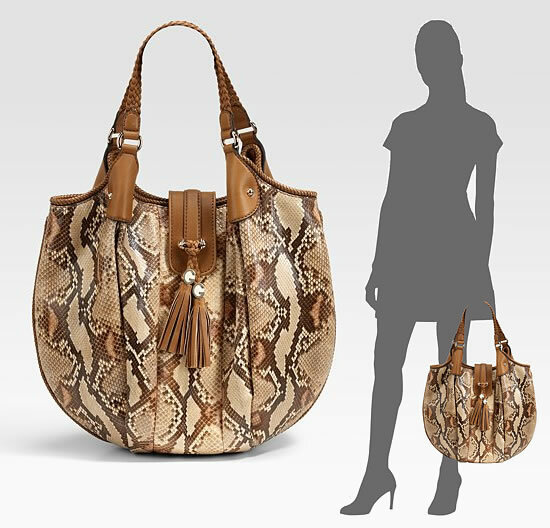 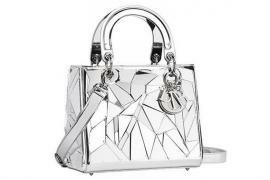 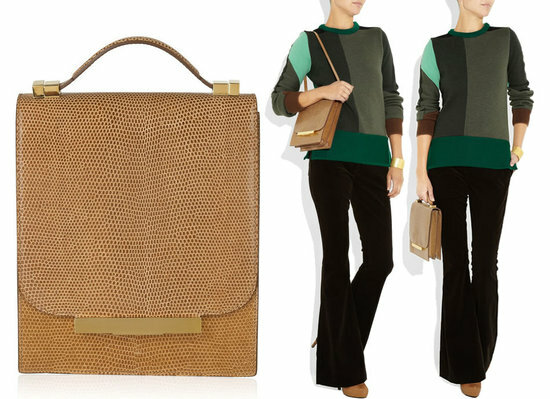 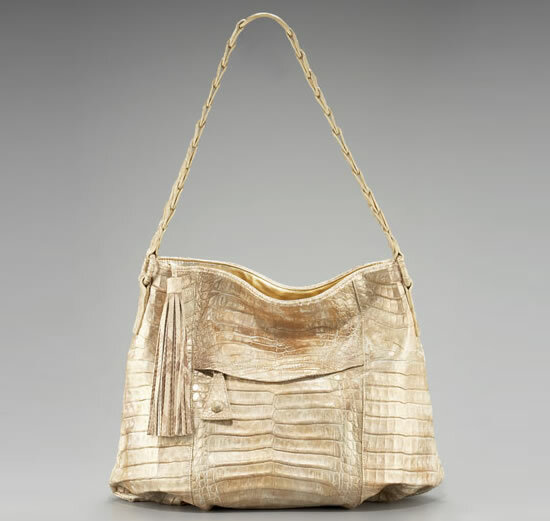 Priced at $2,745 a piece, the bag is 9 inches wide, 7 inches high and 3 inches deep with a 9 inch handle drop and weighs 0.7 kgs.